– provides students with the opportunity to develop their skills with a variety of mediums including clay, drawing, mixed media, painting, pastel, printing and sculpture. 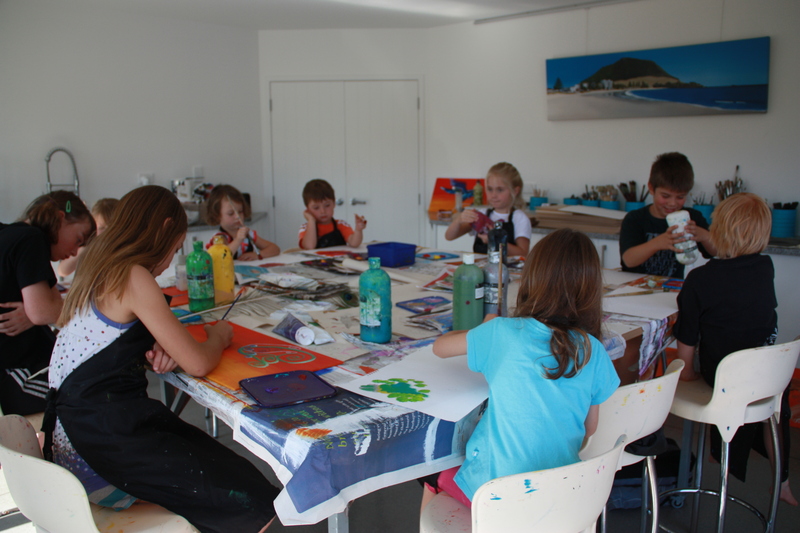 Each term there is an 8 week programme teaching children to make art in the manner of specific role model artists, both New Zealand and internationally renowned artists. Emphasis is on art-making techniques and processes. Your child will work on one piece of artwork over an eight week period, guided through each step by Hollie O’Neill – a qualified teacher and professional artist. These classes are the perfect way to develop your child’s artistic potential. Your child will be inspired and the results will astound you.